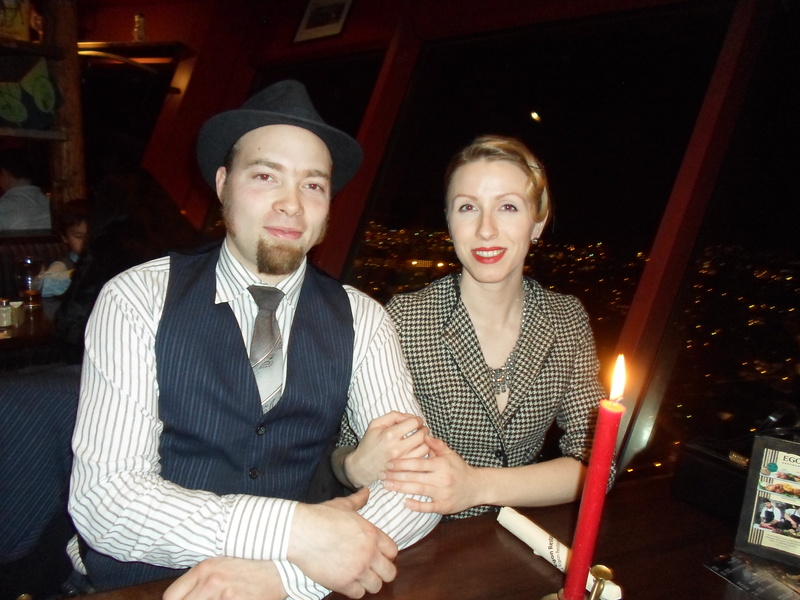 This year I celebrated New Years Eve at a place that works as a telecommunication- and radio tower, and there is a restaurant at the top. 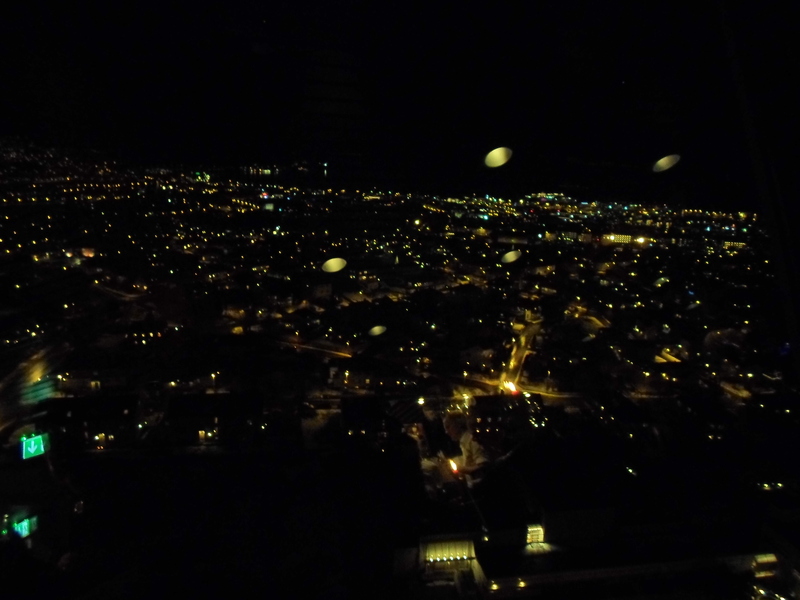 The cool thing is that the top floor rotates 360 degrees so you get to see the whole city and even to the next county. It takes an hour pr lap. Tried to take some photos but its hard with all the reflection from the lights inside and stuff. Here is a little view of Trondheim by night 😉 And here you see our ride for the night. Ha. No, this is a project that my friend (and Secret Santa) is working on. 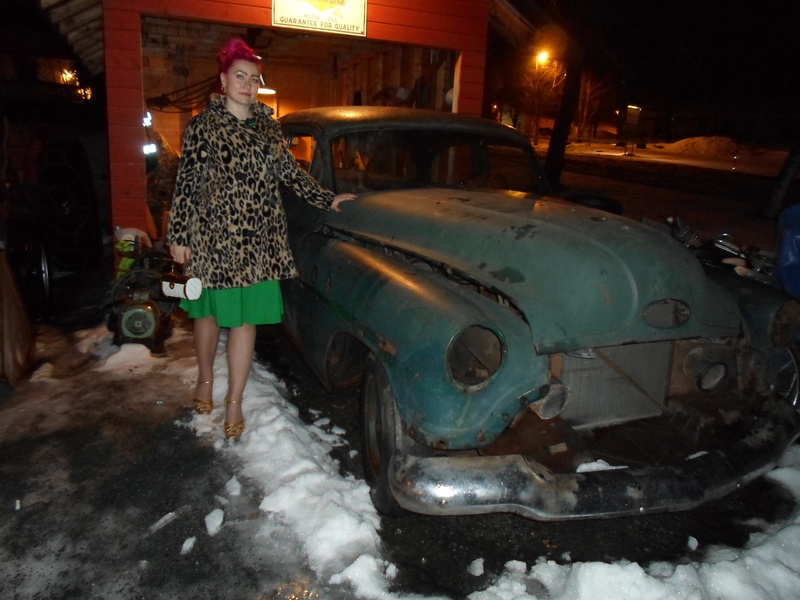 Its a Buick, so awesome! 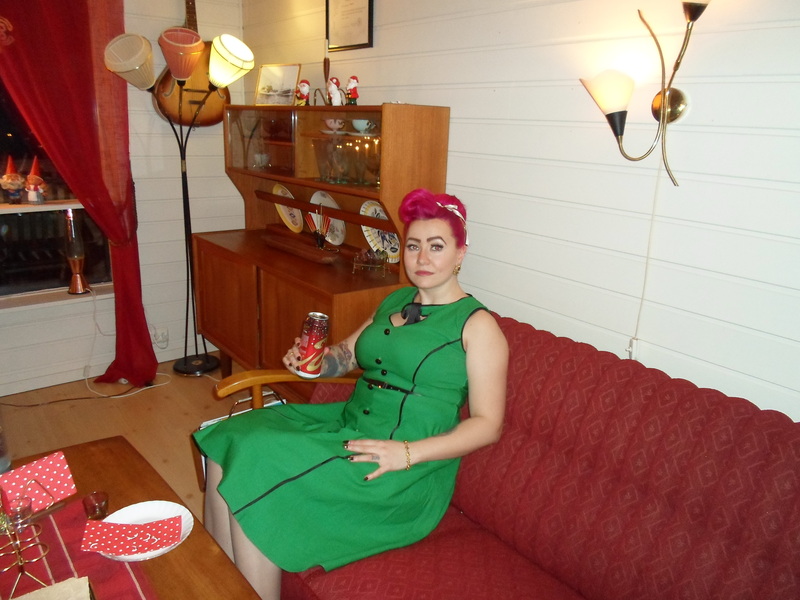 Caught off-guard drinking beer straight from the can! 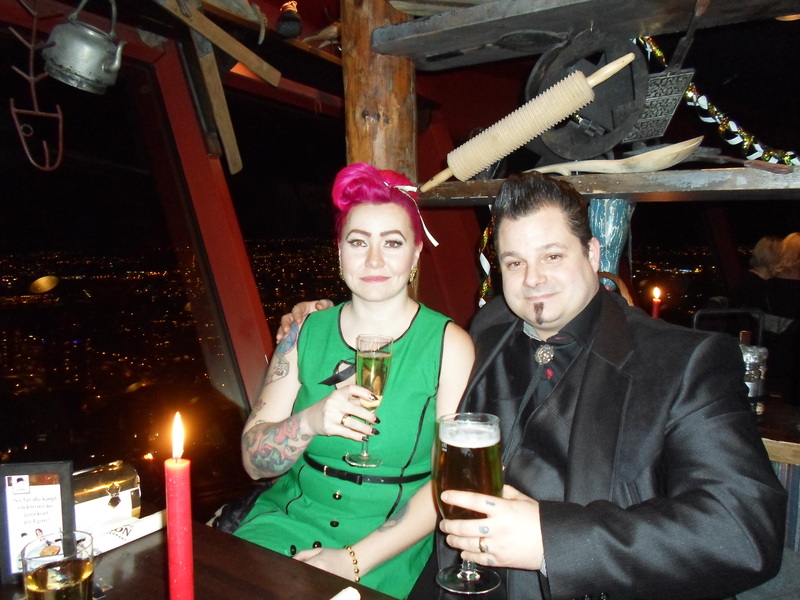 We had a little drink at my friends house before the dinner in the tower. He has a cat that is HUGE! I love that cat, the best part is that his name is Hot Rod. I’ll take a picture later so you can see. Crazy Cat Lady in the making. 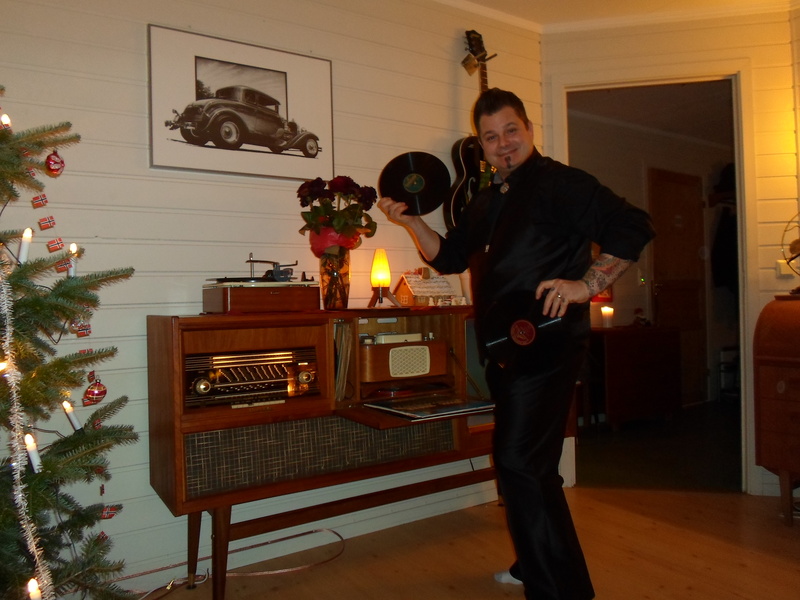 My hubby posing with some records. Amazing how the technology evolves, now we got radio, tv AND record-player all in one! Here we are waiting for the food. Foooood. And here is our lovely friends, Stan and Lillian. That guy is a genius when it comes to engines and how things work! And Lillian knows how to make clothes.. woooow. I can barely get the thread in to the needle, let alone make a whole garnment from scratch. I’m sorry but I just had to post a food picture. 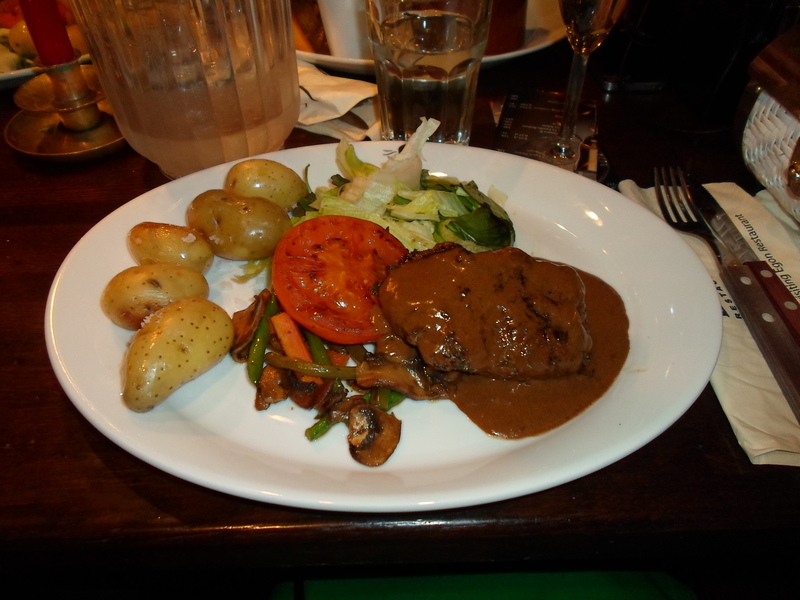 This meat was sooo nice! Perfectly done, still red inside and the pepper sauce was so spicy. Getting hungry just by thinking about it. I love beef. Drool. What did you do on NYE?